The dust around the 2016 Auto Expo has settled and we now have enough clarity about the vehicles India will get over the next 10 months. Today, let’s check out 7 highly anticipated SUVs, all of them launching over the next 10 months. 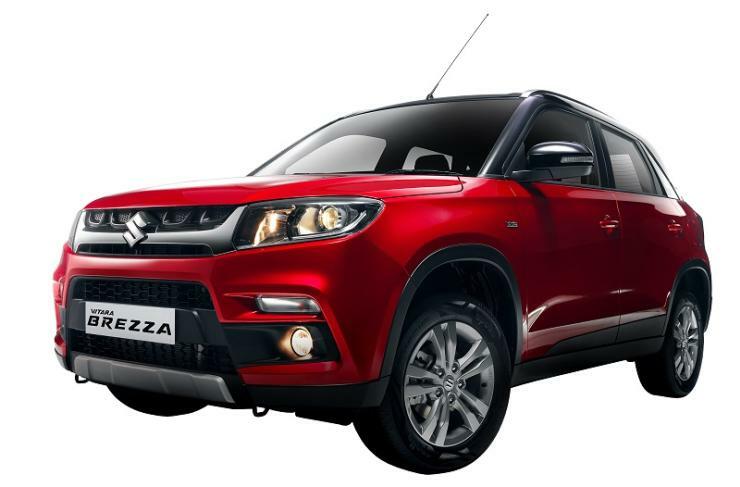 Maruti Suzuki dealers have already begun taking bookings for the Vitara Brezza, albeit “unofficially”. The compact SUV will be launched by the end of March, and production at Manesar is on in full swing. The diesel-only sub-4 meter offering will sit under the S-Cross in terms of pricing and positioning. Expect the new SUV to start from under 7 lakhs. The Mahindra TUV300 and the Ford Ecosport are likely to feel the heat. Maruti has localized about 98 % of the Brezza, which will use the 1.3 liter Fiat Multijet turbo diesel engine. The Wrangler may not be the most expensive Jeep than the American SUV brand launches in India, but it sure is the most recognizable. The off roader will arrive here with a 2.8 liter VM Motori turbo diesel engine with 197 Bhp-430 Nm on tap. A 5 speed automatic gearbox will be standard and so will a four wheel drive transfer case with high and low ratios. The Jeep will be imported as a CBU into India, and will therefore cost about 30 lakh rupees, or even more. It’ll offer ABS and Airbags as standard, and is expected to sell on the strength of it being a “rich man’s” Thar. The BR-V is Honda’s maiden foray into India’s fast growing compact SUV space. The vehicle is already on sale in South East Asian markets, in 5 and 7 seat variants. Honda is likely to launch the BR-V in India with a 7 seat layout. This will be a major differentiating factor as the vehicle’s competitors – the Renault Duster and the Hyundai Creta – are five seaters. Based on the Brio platform, the Honda BR-V will share the 1.5 liter i-VTEC petrol and i-DTEC turbo diesel engines with the Mobilio. The Nexon is easily the sharpest looking SUV from Tata Motors, and is expected to go on sale in India from this year’s festive season (Diwali, if you’re wondering when that is). 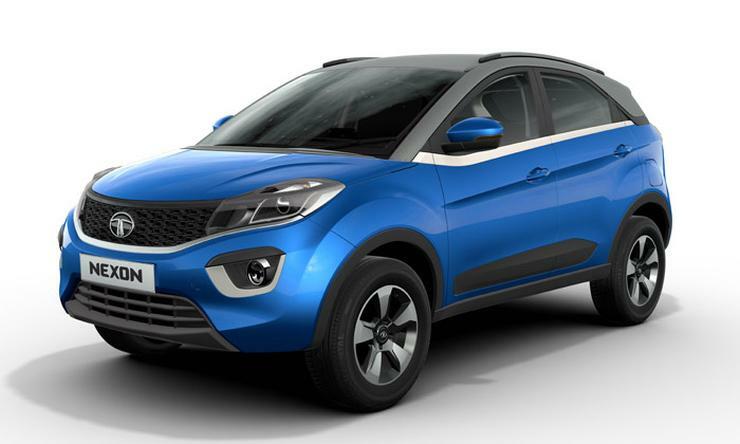 The Nexon will also be the most powerful sub-4 meter compact SUV in India, for Tata is packing in a 1.5 liter-4 cylinder turbo diesel motor with 110 Bhp-260 Nm into the vehicle. A turbo petrol engine will also be offered while an AMT unit will be an option that buyers who don’t want the standard 5 speed manual gearbox can opt for. 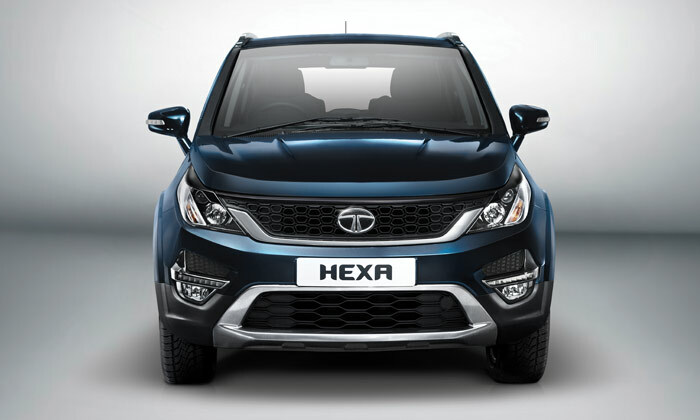 The Hexa is another exciting SUV from Tata motors. More of a crossover than an SUV, the vehicle is a redesigned Aria, and one that could directly take on the Mahindra XUV500. The crossover, which uses a ladder frame chassis, will be more powerful than the XUV500, and much larger too. While 7 seats in a 3 row layout will be standard, the selling points of the Hexa will be the sheer amount of space and comfort on offer. The 2.2 liter Varicor turbo diesel engine will make a class leading 154 Bhp-400 Nm on this vehicle, while rear wheel drive and 4 wheel drive options will be offered. 6 speed manual and automatic transmissions will also be on offer. A March-April launch is likely. The lifestyle pick up truck market is yet to take off in India but that hasn’t stopped many automakers from pursuing this space. Tata has the Xenon while Mahindra has the Scorpio Getaway catering to a niche set of buyers, who will soon get more choice in the form of the Isuzu D-Max V-Cross. The Japanese automaker showcased this lifestyle pick up truck at the Auto Expo, and is expected to launch it here in the second half of 2016. 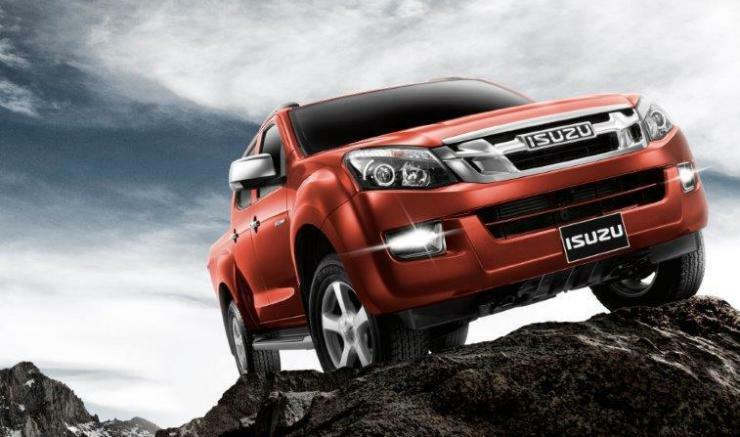 The 5 seater pick up truck will use a 2.5 liter turbo diesel engine with 134 Bhp-320 Nm on tap. A 5 speed manual gearbox and a four wheel drive transfer case will be standard bits. The expected price is about 15 lakhs, and for this kind of money, you’ll get ABS and Airbags as standard. The V-Cross will be CKD assembled at Isuzu’s spanking new Sri City factory in Andhra Pradesh. 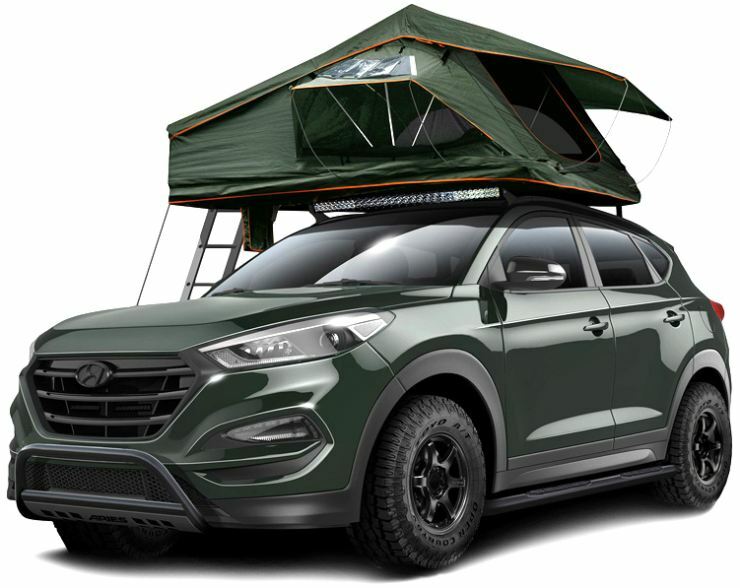 The Tucson will bridge the big gap that currently exists between the Hyundai Creta and the Santa Fe. Likely to be priced at around the 20 lakh rupee mark, the 5 Tucson will aim for buyers considering a high performance crossover. Prospective Skoda Yeti buyers will soon now have another choice in the form of this Hyundai vehicle. For India, the SUV is likely to be a diesel-only vehicle. A 2 liter turbo diesel engine with 182 Bhp-400 Nm, and a 6 speed automatic gearbox could be standard fare, along with Hyundai’s Active all wheel drive system. A second half-2016 launch is likely, and so is CKD assembly at Hyundai’s Sriperumbudur factory.